Live in the heart of East London? PassMeFast offers courses throughout the borough of Barking and Dagenham. Learn about how you could pass fast with us at one of the local test centres. Book onto a course in the Barnet area so you can get passed fast! Click here to find out everything you need to know about learning to drive in Barnet. In South East London lies the borough of Bexley, including Erith, Bexleyheath and Sidcup. Click here to read about our courses in the Bexley area. Best known for Wembley Stadium, PassMeFast’s courses in the borough of Brent can help you get your driving licence in weeks. Result! There’s plenty to explore in London’s largest borough. Find out how you can hit the road in Bromley by getting your full licence within weeks. Click here for information on our courses in Beckenham, Chislehurst and beyond. Camden may be more famous for its markets, universities and literary tradition than driving—but that’s no reason not to take to the road here! Learn more about our driving courses in Camden. Lying in the south of Greater London, Croydon is ideally placed to access both the bustling heart of the city and the countryside of the Home Counties. Find out more about how you can hit the road in Croydon. From Northolt to Southall, PassMeFast’s courses in Ealing can help West London’s learners get their licence in weeks. Learn more here. Learner in the Enfield area? Go from a total beginner to passing at the local Enfield test centre in just weeks. Find out more about our Enfield driving courses here. Greenwich is known as the home of global time—and isn’t it time you got on the road? Learn more about how you can speed up your journey to passing in Greenwich, Woolwich and beyond. Lying in the heart of inner London, Hackney is home to some of the capital’s foremost cultural districts. PassMeFast’s courses here can help locals to explore it all by car—find out more here. One of London’s smallest boroughs, Hammersmith and Fulham has a lot to offer. Learn more about our courses here and find out how easy it is to get on the road with PassMeFast. With our driving courses in Haringey, you’ll be able to drive confidently even in the busiest London traffic. Click here to learn more about our courses in Hornsey, Tottenham, Wood Green, and beyond. To explore everything that this borough has to offer, from leafy Pinner to bustling Harrow, you’ll need to get on the road. Learn more about our courses in Harrow here. 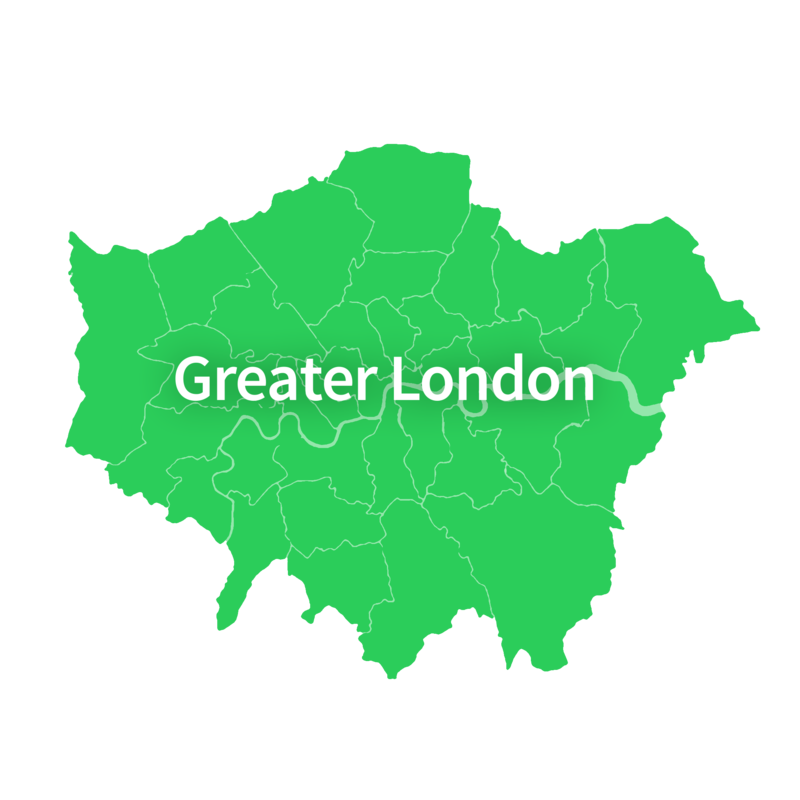 Havering may lie at the furthest east corner of Greater London, but it’s well inside our coverage area! Learn more about the courses we offer in Havering, including Romford, Hornchurch and Upminster. Hillingdon may be best known for Heathrow Airport—but if you’re after open roads rather than open skies, then PassMeFast is the place to be. Click here for info on our driving courses in Hillingdon. PassMeFast offers a range of courses in the borough of Hounslow. Click here to find out how you could be passed in just a few weeks with one of our intensive courses. Islington’s inner London setting may not be the obvious place to learn to drive—but don’t let that hold you back! Find out more about our courses in Islington, and see how you could pass fast with us. The cast of Made in Chelsea might have their own personal chauffeurs, but if like the rest of us you need to pass your test you’ve come to the right place. Learn about our driving courses in Kensington and Chelsea here. Hitting the road in this picturesque, vibrant corner of south-west London is easy with PassMeFast. Click here for more information on the courses we offer in Kingston upon Thames. Clapham or Streatham, Vauxhall or Brixton—wherever you live in Lambeth, PassMeFast can help you get your driving licence. Lewisham may be well known for its seafaring connections, but if you’d rather travel on dry land, PassMeFast are the driving school to turn to. Read up on our Lewisham courses here. Serve an ace here in the home of Wimbledon—book a PassMeFast course in Merton and pass your test within weeks. Learn more about our lessons in Morden, Mitcham, Wimbledon and Colliers Wood here. Go for gold in the home of the Olympics! Click here for more information on our courses in Newham, including East Ham, West Ham, Canning Town and Stratford. Getting on the road quickly shouldn’t be a bridge too far. To learn with us in Ilford, Woodford, Wanstead, or throughout Redbridge, click here. Exploring one of London’s most picturesque boroughs is easier by car. To get on the road here in Richmond upon Thames, book a PassMeFast course. Click here to find out more. Driving in The Borough doesn’t have to be hard. Click here to learn more about the courses we offer in Southwark, including Bermondsey, Camberwell, Dulwich, Peckham, and more. If you’re in south-west London, PassMeFast’s intensive courses can help you get on the road quickly. Click here for information on our driving courses in Sutton. Tower Hamlets may have some of the busiest roads in the country—but don’t let that be a barrier to getting behind the wheel. Click here to see how our courses in Tower Hamlets can help you become a safe and skilled driver. A mix of urban and rural nestled in the north-east of Greater London, Waltham Forest offers plenty of contrasts—and a challenge for drivers. Find out how you can take on the roads in Waltham Forest with PassMeFast. Wanderers of Wandsworth: come to PassMeFast. We’ll help you get on the road in just weeks with our fast-track practical tests. Click here to read more. Westminster is home to some of London’s best-known attractions. Find out about how you could learn to drive in this prestigious area.